Home > Blog > Latest News > IHRE19 @ Olympia, London is on the Way! Looking forwards to 2019, registration is now open for one of the key events in the recruitment industry calendar. 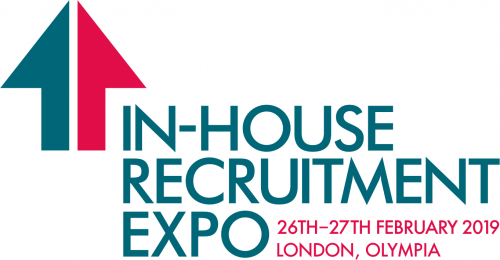 The fifth edition of the national event for in house teams – In-House Recruitment Expo, returns to Olympia on 26th & 27th February. IHRE19 London covers the full range of hiring, retention and development of talent through a well-crafted mix of exhibitors, masterclass sessions and seminars with speakers from around the world. So, what can we expect from IHRE19?  Partnerships and engagement is at the heart of IHRE19 – this is underlined with continued and valued support from The FIRM along with media partners HR Grapevine, Personnel Today, Changeboard & Onrec. Current sponsors include Workable (Silver), Broadbean (Bronze) & Kallidus (Speaker Programme Sponsor). With Brexit dominating the news it is easy to lose sight of the other challenges in-house teams face. Trends for 2019 are going to be difficult to spot until that Brexit mist clears but it’s still clear that graduate hiring is high on the agenda, looking to level the social mobility playing field. Inclusion, bias and transparency continue to feature. But, it is the application of AI into the recruitment process that creates the greatest debate with ‘Only humans’ can recruit’ vs. ‘AI for everything’ forming two divided camps. It feels like 2018 was the year of candidate experience and yet, we have yet to reach a satisfactory conclusion with organisations still struggling with the implementation of an approach that works for them. In-House Recruitment Expo has always been about insight and learning and with masterclass talks and seminars spread across both days. You will want to make sure you plan and register in advance to make sure you hear from some of the best speakers in the sector. We have pulled together an exciting programme that kicks off on day one with Theo Smith from NICE as he discusses how through the utilisation of research and marketing techniques you could be a far more effective recruiter. Candidate experience is still high on most in-house recruitment teams’ agenda and we will hear from Disruptive HR’s Karen Moran and Lee Andrews from IBM as they share their personal views on how to deliver more effectively. Day two doesn’t take the foot off the gas with sessions covering the gig economy from James Bentley at WPP and Rachel Dalboth joins us from the FIRM to open up the debate on the talent acquisition function as it stands and where we should put our focus. Seminar sessions get busy so make sure you plan ahead and register. Master class sessions are open- no registration required; just arrive 5 mins before the session begins. 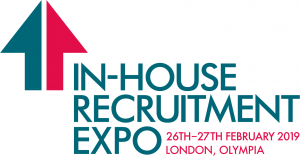 To register for free entry to IHRE19 London seminars and exhibition visit: https://eventdata.uk/Forms/Form.aspx?FormRef=IHR29Visitor and don’t forget to make sure you follow @InHouseRecExpo and #IHRE19London on Twitter for all the latest updates and announcements. We look forward to welcoming you on 26th and 27th February 2019!